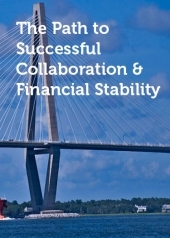 This report features the SafetyNet CharityTracker Assistance Network of the Trident United Way of Charleston, SC. This community collaboration does a great job modeling the 7 C’s of Collaboration: Connection, Clarity, Congruency, Creation of Value, Communication, Continual Learning and Commitment. SafetyNet CharityTracker connects people to resources and a path to financial stability. What began as a small group of 35 organizations and churches working together for poverty relief has grown into a vibrant alliance of 300 multi-sector partners coordinating basic needs and helping people achieve self-sufficiency. While one church can help one family at a time, faith leaders are coming together to better steward funds and strengthen their capacity to meet needs. Through communication and coordination, churches are reducing duplication of services and taking proactive approaches to fighting poverty. They are moving away from individual congregations providing temporary relief to coalitions and cooperative ministries that create sustainable, restorative solutions for families. 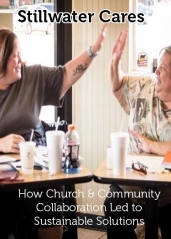 Read about Stillwater Cares, Interfaith Ministries and Mercy’s Gate faith collaboratives and their tools and technology used to track success. Founded is 1910, Catholic Charities is a leader in compassionate, community service across the world. According to Catholic Charities USA, there are 164 official member agencies across 2,631 U.S. locations. Simon Solutions is proud to partner with over 30 Catholic Charities across the country, equipping them with technology for shared case management, reporting and agency collaboration. 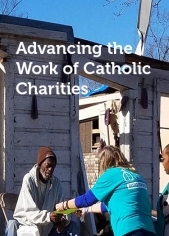 This report features Catholic Charities Biloxi, a vibrant network of programs, assistance and outreach efforts in four locations covering a 23-county service area of Mississippi. Read how this organization collaborates and keeps records across multiple offices to improve productivity and outcomes. Stillwater, OK is a community with a population of approximately 80,000. Within the community exists a network of 58 churches and organizations partnering together to prevent and alleviate poverty. 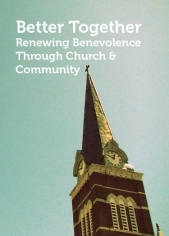 Learn how this network: started with faith and community leaders built trusting relationships; did research cooperatively; created a common language; supported the creation of a backbone organization; implemented a community-wide plan with Getting Ahead/Bridges Out of Poverty constructs; and administrate a shared system of case management giving them the ability to report their collective impact. From its inception over 10 years ago, CharityTracker has worked alongside United Ways across the U.S. helping them keep track of their good work through data collection and reporting. United Ways and their 211 systems have also used CharityTracker to collaborate and communicate with agencies, schools, churches and more. United Ways have not only benefited from CharityTracker solutions, they have contributed to the ongoing research and development, keeping United Ways and our solutions relevant to today’s landscape of social change. This report highlights the ever-expanding network of United Way and CharityTracker partnerships; an in-depth look at our 10-year partnership with Trident United Way in Charleston, SC; and how United Ways view CharityTracker. Beyond securing donations, implementing programs and managing food distribution, food banks are critical partners in building the capacity of thousands of partner agencies and organizations. 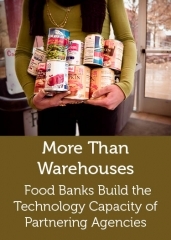 One way food banks build the capacity of their partners is by connecting them to technology that improves processes, record-keeping, reporting and collaboration. This case study examines how Oasis Insight is used to bring about such improvements. According to Feeding America, 16 million U.S. children face hunger every day. Food banks across the country are dedicated to reducing childhood hunger and one of the most effective ways to do that is to make nutritious food available where children spend a lot of their time: at school! Since 2012, The Great Falls Public School Foundation in Montana has utilized Oasis Insight to help their school food pantries record and report the results of their program. 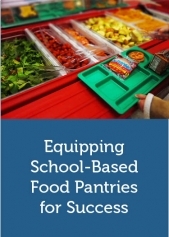 This reports features interviews with two of their school food pantry volunteers who utilize Oasis on a weekly basis. Even though Supplemental Nutrition Assistance Programs have been in existence for over 75 years, many families facing food insecurity remain unaware of eligibility requirements or the application process. Feeding America reports that only 41% of the households receiving support from food banks receive SNAP benefits, while an estimated 88% could be. To bridge this gap, many food banks and community benefit organizations participate in SNAP outreach programs. 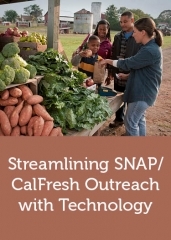 This report features SNAP outreach leaders utilizing Oasis Insight, to strengthen collaboration among SNAP programs, application tracking, reporting and event management. 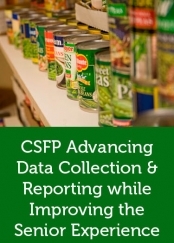 The Commodity Food Supplemental Program (CSFP) exists to improve the health of low-income elderly persons at least 60 years of age by supplementing their diets with nutritious USDA Foods. 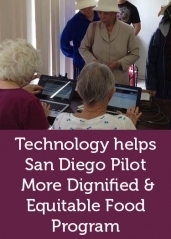 The Jacobs & Cushman San Diego Food Bank has a robust CSFP program, serving thousands of seniors monthly. In January 2016 this food bank and Oasis pioneered improved technology for CSFP customer intake and food distribution, certification and recertification. While staff of both organizations knew this could increase the efficiency in distribution and reporting, they were surprised at the greatly improved customer and volunteer experience. This case study outlines the development, implementation and initial outcomes of using Oasis Insight for CSFP. Learn about city-wide collaboration, community transformation and the tools being utilized to make it happen. Each Case Study listed here features either CharityTracker or Oasis Insight community impact software. Note that most technology features mentioned in the case study are applicable across either software platform. Copyright © 2017 Simon Solutions Inc.